Visibility is currently miles. 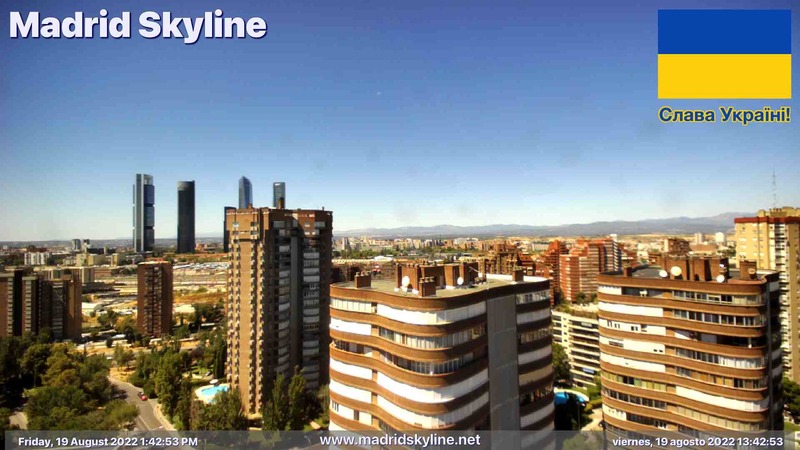 The camera is pointing at Chamartín railway station and the Cuatro Torres Business Area. 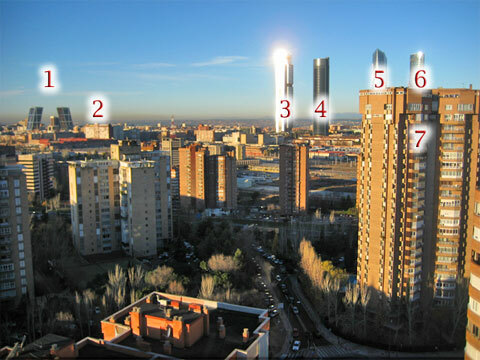 This includes Torre CEPSA, the tallest building in Spain at 250 metres (820ft) high. Webcam transmits a high definition 1920x1080 pixel image that is updated every minute. Weather info is from Adolfo Suárez Madrid-Barajas airport (MAD/LEMD), 4 miles away. First light today was at 6:22 am and sunrise was at 7:30 am. Sunset will be at 8:56 pm and nightfall will be at 10:04 pm. Webcam clock is synchronized with the Spanish Navy Observatory (Real Instituto y Observatorio de la Armada) which is the Time Stamping Authority in Spain. Accuracy of webcam clock is usually ±1 second. Local time zone is CEST (Central European Summer Time) which is UTC +02:00, although Madrid is geographically at UTC -0:15.